Come into Open Spaces; come out transformed! Jay North author of Open Spaces My Life With Leonard J. Mountain Chief finally delivers “Return To Open Spaces – The Final Chapter.” Told in terse to leave the reader with enough information to walk their own paths and make their own decisions-just the way Leonard J. Mountain Chief, Blackfeet Elder would want it. These true adventures promise not only to be entertaining but enlightening as well; without the 60’s we would not have the conscious unfoldment that we know today. Bohemia never died it just went on vacation. Alive today with Jay North’s book Thoughts Without Thinking; poems, prose, prayers and processes-because everybody needs one. Jay North, aka J. Mountain Chief, his adopted name from Leonard J. Mountain Chief; Blackfeet Elder from Northwest Montana. Leonard, Jay’s beloved mentor and adopted father, was instrumental in guiding Jay to the full and complete unfoldment of his soul, a gift Jay hopes to impart to his readers through this inspirational booklet of positive thoughts and actions. The Gift of Touch is a unique encyclopedia of healing modalities meant for beginners and experts alike. Walking you through step by step into tried and tested healing modalities, tirelessly perfected after 35 years of hands on experience. Many of life’s problems result from the stagnation of negative energy pattering within the body. Learning to wrangle and release these stumbling blocks to good health is key to any long term health and vital life success. Most people wouldn’t believe that a family pet could inspire a string of words long enough to create a novel. Outside of lassie, and homeward bound, most would be left wondering how a dog could be a heroine, let alone change anyone’s entire life. Your body and your taste buds will love the chemical-free treats you can grow in your own windowsill. Getting started is easy and inexpensive. 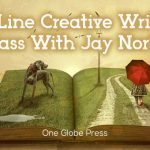 Jay takes you step-by-step in this new book.